Renting Your First Apartment: Tips For Success! Renting your first apartment is a major milestone in your life. Once you have graduated from high school or college and landed your first real job, it is time to move out on your own and see what the wider world is all about. You may be excited to rent your first apartment, but that does not mean you have to approach the process with blinders on. It is important to research your options carefully, from where you want to live to what you can afford to pay. Many first-time renters make costly mistakes that can wreck their finances and make life more difficult than it has to be. If you are renting your first apartment, you need to avoid these common first-timer mistakes. The cost of your monthly rent payment is not the only expense you will face when getting started in your new apartment. Many first-time renters underestimate the adjunct costs of apartment rental, and that can leave them behind the financial eight ball right from the start. You will probably need to put down a security deposit equal to at least one months’ rent. You may also be required to pay a separate apartment deposit or fee, which could be $50 to $100 or more. In addition to those costs, you may need to put down a deposit to start your electric service and other utilities. Be sure to research those costs carefully, and build them into your housing budget. If rents in a particular neighborhood are much lower than average, there may be a reason for that. Those cheaper neighborhoods might suffer from high crime, poorly performing schools and a plethora of other problems. You owe it to yourself to check out the neighborhood before you move in. That means walking around both during the daytime and at night, exploring local stores and amenities and talking to current residents. In some cases it might make more sense to live in a better (and therefore more expensive) neighborhood, even if it means living with a roommate or two. Do not assume that everything in the apartment works perfectly. Use your walkthrough inspection to make sure the utilities work and that everything is as it should be. Turn on the kitchen tap and shower and make sure you have plenty of hot water. Flush the toilet to make sure everything is working properly. Turn on the stove and make sure it heats up. The more you know before you move in the better. Also be sure to check for any damage in the apartment and document what you find. If preexisting problems are not properly documented, your landlord could take the cost of repairs out of your security deposit when you move out. The lease you sign on your first apartment is a legally binding document, and that means you are responsible for knowing what is in it. Your eyes may glaze over at all the legalese and confusing language, but it is important to read the document carefully. Every lease will include some basic information about the property, including its mailing address, the due date for the rent and the length of the agreement. In addition to that basic information, the lease may include clauses that pertain to roommates, pets and other important information. Be sure you understand all the stipulations; you do not want any unpleasant surprises after you move in. Many first-time renters assume that the landlord carries insurance on the property, and that is true, but only to a point. The owner of the house or apartment should indeed have insurance, but that insurance covers the property — not your personal possessions. If you are renting a house or apartment, you need renter’s insurance to protect your personal belongings from theft or loss. Renter’s insurance is typically inexpensive and easy to buy, so there is no reason to go without it. Avoiding these common mistakes will get you off to a great start in your new apartment. Signing the lease on your very first apartment is a momentous event in the life of every young person. Doing the homework ahead of time and researching everything properly can help make those first apartment memories good ones. If you are looking for an easy and inexpensive way to spice up your cooking, look no further than the closest windowsill. 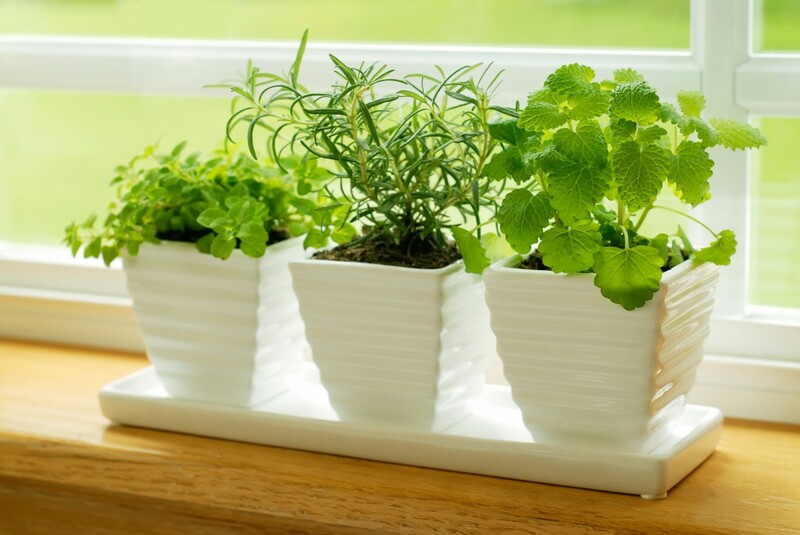 With a bit of planning and preparation, you can transform any windowsill in your home into a thriving herb garden. Growing your own fresh herbs can cut your food budget substantially, while providing your family with more flavorful and nutritious meals. The cost difference between store bought herbs and fresh grown ones can be enormous. Those store bought herbs, which are often dried out and tasteless, can cost up to 10 times as much as their fresh grown counterparts. In addition to the cheaper price, those fresh grown herbs often taste better, and they often pack a more powerful nutritional punch as well. Starting your own fresh herb garden is not as difficult as you might think. There are a number of ways to get started, but one of the simplest is to purchase an herb garden kit. These kits are available at most garden centers, and often at discount retailers as well. These kits include everything you need to get started, from the seeds you need to grow those herbs to the soil you need to grow them in. You can start with a ready made kit for convenience, then add new herbs to the selection as you go. You can also build your own herb growing kit from scratch, using a few simple materials and supplies. All you need to grow fresh herbs are a few small pots, some quality soil and an assortment of seeds. Once you have all those materials, all you need to do is follow the planting instructions, place the pots in a sunny location and wait for the plants to grow. It can take a few weeks for your newly planted herb garden to start growing, but once it does you may be surprised at just how well those plants do in your kitchen. You do not have to have a lot of space to grow a great herb garden. If you have one or two sunny windowsills, you have all the space you need to get started. And once you have tasted those fresh herbs from your own garden, you will never want to go back to the store bought varieties again. 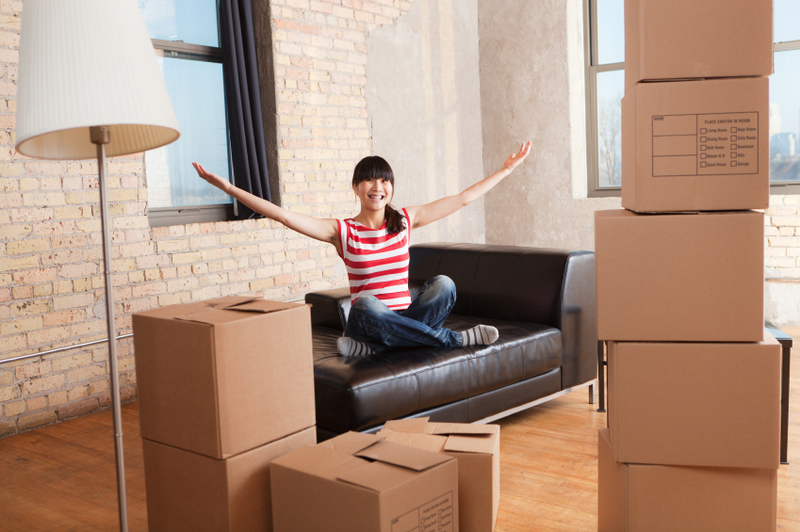 Making Your Apartment Move Easy – 4 Tips! Moving into a new apartment can be a very stressful situation for both novices and people more experienced with moving. If you do not have a solid plan heading into the big move, you can become confused and important things may be overlooked. Whether you’re leaving your childhood home for the first time to live on your own or you’re looking to upgrade and move to a new apartment, here are four tips that will help minimize the stress and confusion of moving. It is a real estate cliché but, “Location, location, location,” is immensely important when choosing a new apartment. It is imperative to figure out your needs and see if the area of your new apartment fits those needs. Do you have kids? If so, a neighborhood with good schools is important. Do you need to use public transportation? An area near buses and trains would be optimal for those without a car. Where you choose to live has a major impact on your future, so be sure it is somewhere you are comfortable living and can suit your living needs. The second tip is to test everything in the apartment. When you finally find an apartment you are interested in and get to have a look around, there are a few things you should remember to try before making any decisions. Flip all of the light switches and bring a portable phone charger to make sure the electrical outlets are in working order. Flush the toilet, light the stove and check inside the oven. Leave no stone unturned. If this is the apartment where you will be living, you do not want to be surprised later to find out something isn’t working properly. Once you decide on an apartment and know this is where you want to live, the next tip is to make sure you measure everything. Measure where your couch will go. Measure your bed frame and all dressers and bookshelves. Other important measurements that often go overlooked are the hallways, doorframes and window frames. Measuring all of these places will help avoid any mix-ups in fitting furniture into your new place. You don’t want to buy a new piece of furniture just to get it back to your apartment and find out that it doesn’t fit in the space you allotted for it. The most important tip to know when moving into a new apartment is to properly budget yourself. There is no worse feeling than finally getting your new place up and running, and then not being able to afford the essentials. Make a list of all your income for one month. Make a separate list of all expenses you have during that same month, then subtract the expenses from the incomes to make sure you have enough money to pay your bills and some extra left over to live on. Remembering these tips will help turn your move from a confusing and hectic time, to a more organized and easy one. The more you plan ahead the better off you will be.